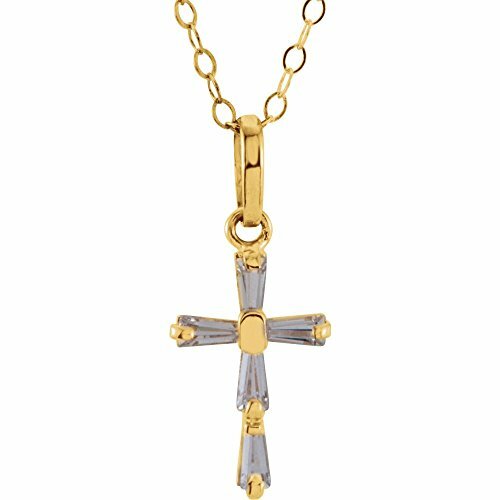 A cross crafted from a single piece of metal into a iconic form with 5 Cubic Zirconia Baguettes! The Cross Pendant measures 13.00 mm long and 8.00 mm wide. This delicate chain in 14K Yellow Gold measures 15" long.